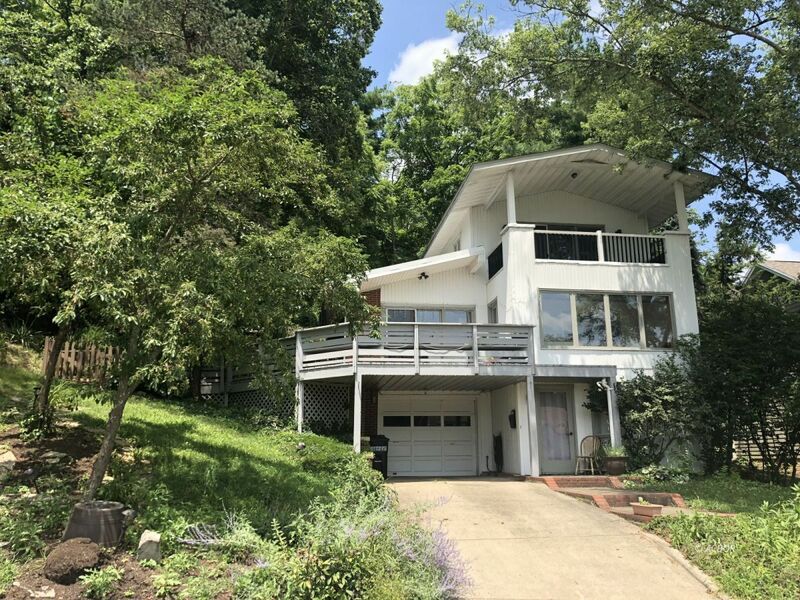 Beautiful modern home on the east side, walking distance to Ohio University, East Elementary, uptown Athens and Village Bakery. This 4 bedroom, 3 bath home is not your average "run of the mill" abode. This place is architecturally interesting and spacious, yet sensible. Large windows allow extra light and views of the many trees, spacious bedrooms, beautiful hardwood floors throughout, decks all around accessible from all levels for entertaining and enjoying your morning coffee. The master suite is oversized with a large bathroom, walk-in closet and private deck. The backyard is fully fenced for kids and pets and is filled with flowering trees providing beauty and privacy. Don't miss your chance to live in this highly desired location, out of the flood plain and close to everything Athens!